This database model organises data into a tree-like-structure, with a single root, to which all the other data is linked. 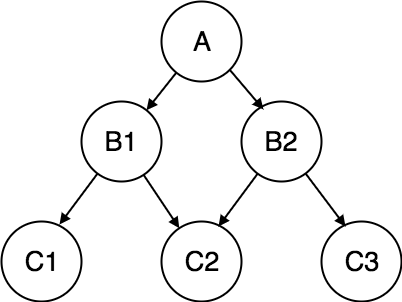 The heirarchy starts from the Root data, and expands like a tree, adding child nodes to the parent nodes. In this model, a child node will only have a single parent node. This model efficiently describes many real-world relationships like index of a book, recipes etc. 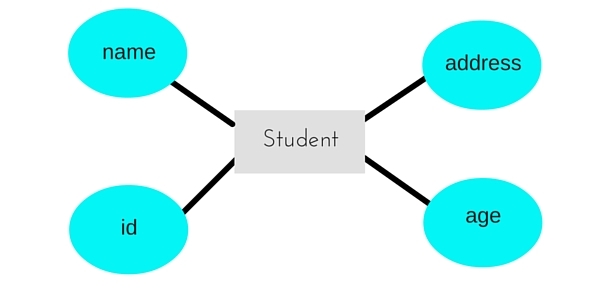 In hierarchical model, data is organised into tree-like structure with one one-to-many relationship between two different types of data, for example, one department can have many courses, many professors and of-course many students. This is an extension of the Hierarchical model. In this model data is organised more like a graph, and are allowed to have more than one parent node. In this database model data is more related as more relationships are established in this database model. Also, as the data is more related, hence accessing the data is also easier and fast. This database model was used to map many-to-many data relationships. This was the most widely used database model, before Relational Model was introduced. In this database model, relationships are created by dividing object of interest into entity and its characteristics into attributes. Different entities are related using relationships. E-R Models are defined to represent the relationships into pictorial form to make it easier for different stakeholders to understand. This model is good to design a database, which can then be turned into tables in relational model(explained below). Let's take an example, If we have to design a School Database, then Student will be an entity with attributes name, age, address etc. As Address is generally complex, it can be another entity with attributes street name, pincode, city etc, and there will be a relationship between them. Relationships can also be of different types. To learn about E-R Diagrams in details, click on the link. In this model, data is organised in two-dimensional tables and the relationship is maintained by storing a common field. This model was introduced by E.F Codd in 1970, and since then it has been the most widely used database model, infact, we can say the only database model used around the world. 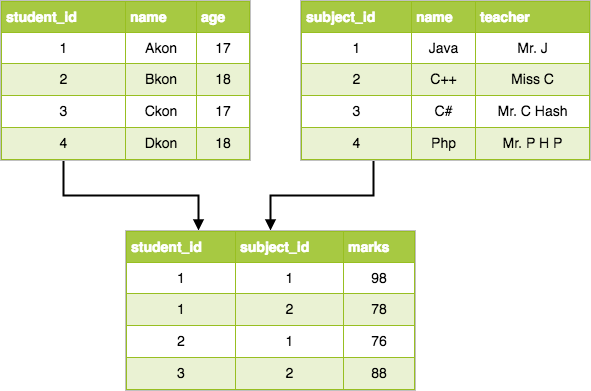 The basic structure of data in the relational model is tables. All the information related to a particular type is stored in rows of that table. Hence, tables are also known as relations in relational model. In the coming tutorials we will learn how to design tables, normalize them to reduce data redundancy and how to use Structured Query language to access data from tables.